South Carolina's diverse soil rises from Atlantic sands to meet the Blue Ridge Mountains. Spanning U.S. Department of Agriculture plant hardiness zones 7a through 9a, the state's numerous geological sectors group gardeners in three main gardening regions. Defined by elevation, climate and age, the regions' predominant soil types create vastly different gardening conditions. For productive, healthy gardens, you'll need to understand your South Carolina garden's soil. A close-up of sand and red clay soil layers. The northwest one-third of South Carolina is home to the Piedmont Plateau, stretching down from North Carolina. Dig into Piedmont soil and you'll find about 8 inches of dark sandy loam topping heavy red clay. Naturally low in fertility, the soil reflects centuries of Blue Ridge erosion that settled in the plateau below. 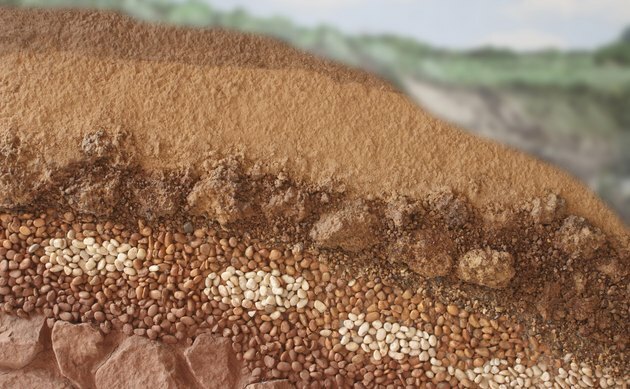 Because clay is the smallest type of soil particle, Piedmont soil holds added nutrients and moisture well, but easily becomes dense, compacted and poorly draining. Adding sand makes compaction worse, but adding compost or similar organic matter improves garden drainage, helps roots get oxygen and keeps added nutrients in place. Downstate, toward the coast, South Carolina soil changes. Still deep in spots, the plains' underlying geology leaves soil shallow in other areas. Central soil can be light and sandy, heavy with clay or a garden-perfect combination of sandy loam. Well-draining, central-region soils are prime land for gardening and farming. Set your shovel to soil and you'll find a foot of rich, black, sandy loam. Dig deeper, you'll hit sand and then that familiar red clay. Most common garden plants keep their roots in the soil's top layer. Adding organic matter to the black loam enhances fertility and conditions the soil. The closer you get to the Atlantic, the more likely you are to find sand-dominated soil, rather than clay and loam. Geologically speaking, South Carolina's coastal region soil is young. It rests on loose sediment not yet stratified in the layers seen in the Central and Piedmont regions. Because sand is the largest type of soil particle, coastal areas drain well, but water leaches soil nutrients as it goes, leaving poor soil behind. Coastal gardens benefit from organic matter to boost nutrients and slow the loss of water and nutrients. Additional fertilizers may be necessary to restore fertility lost to the coast over the years. Besides soil type, other soil characteristics affect the health of the soil. Soils with a low pH dominate in South Carolina, with pH levels low enough to affect gardening success. 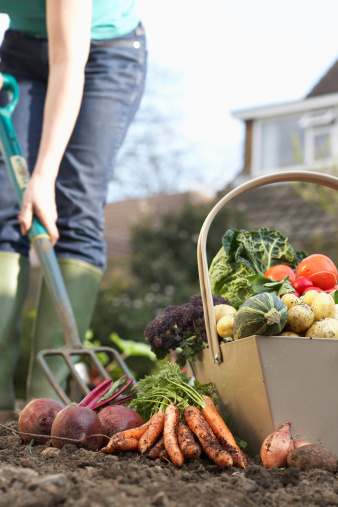 Depending on where you garden and the plants you grow, your soil pH may need adjustments. Some plants thrive in soils with a low pH, also called acidic soils, while others struggle with essential nutrients at low pH. A soil test confirms your soil type and pH, and it provides recommendations on amendments. The types of amendments and quantities needed vary dramatically depending on your South Carolina garden's soil.